Beauty parlours across India are called beauty clinics. This suggests two things: skin problems might be pathological and therefore require medical attention. It also suggests acnes and scars are not simply pathological conditions. Beauty clinics participate in a social construct of ugliness. Beauty clinics are where such ugliness of the skin is treated. 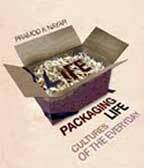 In Packaging Life, Cultures of the Everyday, Pramod K Nayar draws on several such assumptions about cultural practices pertaining to health and environment. The cultural critic is interested in the sales pitch and the marketing strategies of a variety of products. These strategies feed on social anxieties and participate in perpetuating them. Nayar, however, does not see all threats as social constructs. Global warming, for example.But Nayar is able to uncover the marketing strategies that mushroom around it. He is more interested in unpacking selling strategies rather than critiquing them outright. Unpacking shows how advertising and marketing strategies codify particular practices of discrimination, support, emancipation or oppression as natural and legitimize power relations among groups and individuals. According to Nayar, to unpack is a political act. The approach helps him draw interesting conclusions. Consider his description of Apollo Hospitals in Hyderabad. It describes itself as Asias First Health City. A city, we know, is associated in popular thought with organized and managed systemstransport, law and order, healthcare, administration. Extrapolating the word city to a hospital chain creates the impression of a well-oiled machinery. Point taken. But popular imagination also associates cities with chaos. Popular imagination is a contested terrain; this reviewer hopes Nayar had shown how marketing strategies work through such contestations.